For most of her life, sixteen-year-old Hattie Brooks has been shuttled from one distant relative to another. Tired of being Hattie Here-and-There, she summons the courage to leave Iowa and move all by herself to Vida, Montana, to prove up on her late uncle's homestead claim. 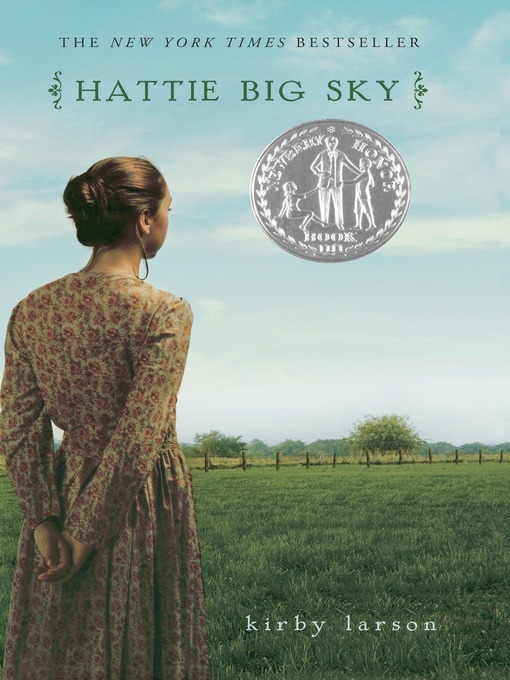 Under the big sky, Hattie braves hard weather, hard times, a cantankerous cow, and her own hopeless hand at the cookstove. Her quest to make a home is championed by new neighbors Perilee Mueller, her German husband, and their children. For the first time in her life, Hattie feels part of a family, finding the strength to stand up against Traft Martin's schemes to buy her out and against increasing pressure to be a "loyal" American at a time when anything—or anyone—German is suspect. Despite daily trials, Hattie continues to work her uncle's claim until an unforeseen tragedy causes her to search her soul for the real meaning of home. This young pioneer's story is lovingly stitched together from Kirby Larson's own family history and the sights, sounds, and scents of homesteading life.